Audi SQ7 Review 2019 | What Car? If we asked you to name a vehicle capable of whisking up to seven people across Europe at great speed while ensconced in the lap of luxury, what comes to mind? A Learjet, perhaps? That’s the fancy option, certainly, but it’s a bit pricey. We were contemplating something a little more accessible and terra firma, like the Audi SQ7. Now, the Q7 is a car we rate highly; so much so that, for the past few years, we've named it the best luxury SUV you can buy at our annual Car of the Year Awards. 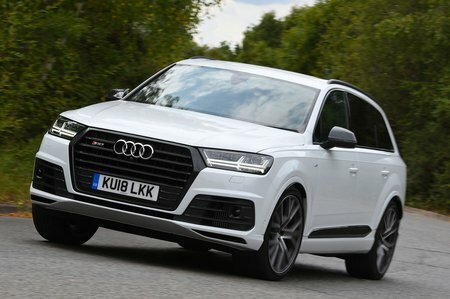 Audi has taken that car as the basis for its high-performance SUV offering, but plonked a whopping great 429bhp 4.0-litre V8 turbocharged diesel engine up front. There’s also an electric compressor to negate any turbo lag, powered by a 48V electrical system, which the SQ7 shares with none other than the Bentley Bentayga. That electrical system can, if you add the optional Dynamic Pack, also operate very clever active anti-roll bars. These are designed to stop the big SQ7 from swaying around in the bends like a skyscraper in an earthquake. All this sounds very fancy, but does it work? Is the SQ7 a better performance SUV than rivals such as the Range Rover Sport SVR or the Porsche Cayenne? Read on over the next couple of pages and we’ll let you know. It's worth noting that the SQ7 isn't currently available to order, although will return to Audi's order books with a shiny facelift later in 2019. 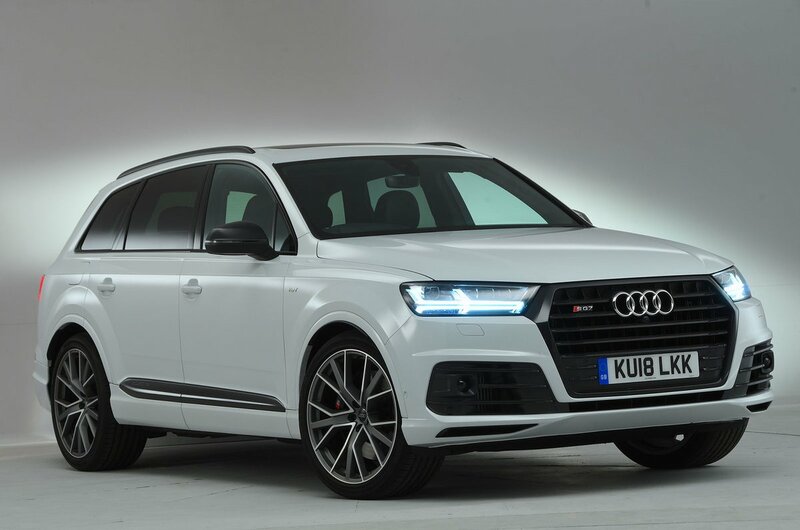 And if you want to check out the standard Q7 in the meantime, though, don't go anywhere until you've checked out the deals at our New Car Buying service.